Stripes. They’re timeless, versatile & classic. 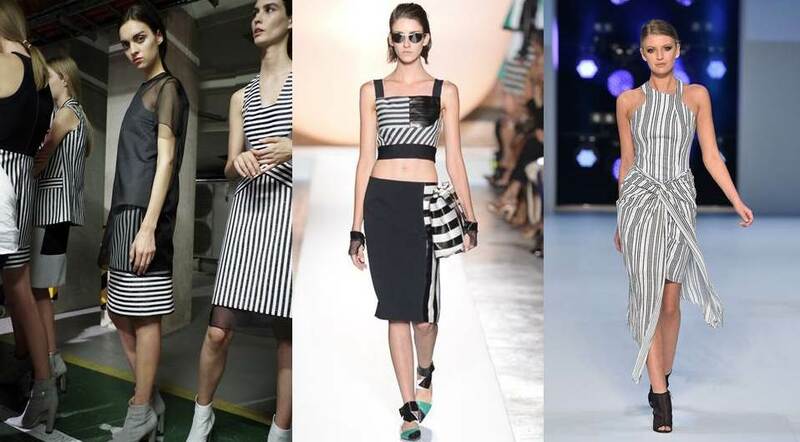 We’ve seen them on the runways, from International to Australian designers, the stripes continue to be a strong trend this spring/ summer. 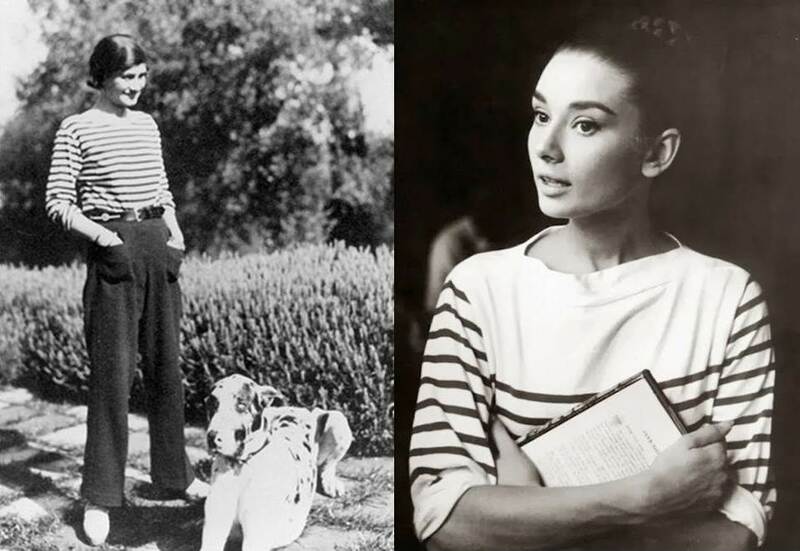 Its been almost 100 years since Chanel first introduced the Breton Stripe print to her nautical collection (in 1917) after being inspired by a trip to the French Coast, and ever since we have gone crazy for them. I love stripes, and although it’s been a staple item in my wardrobe for many years (from dresses to tops & skirts of different colours), I have been on the hunt for the ‘perfect’ striped top. 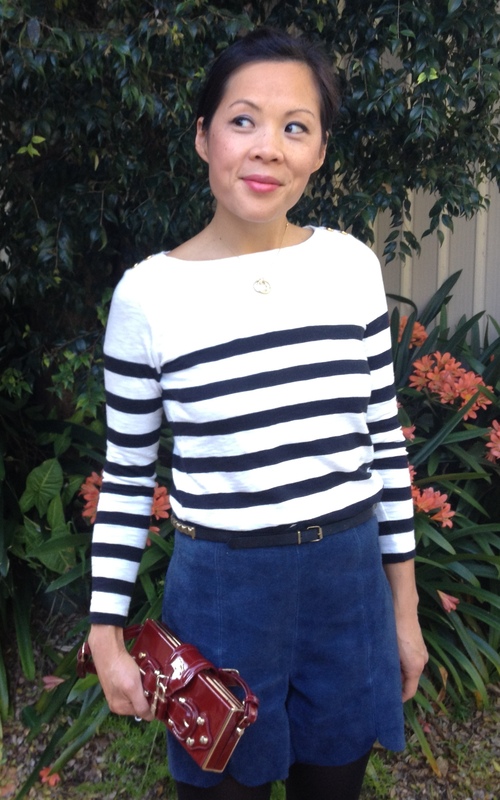 Et voila, the other day I finally found it – black & white Breton stripes, with gold buttons on the shoulders. 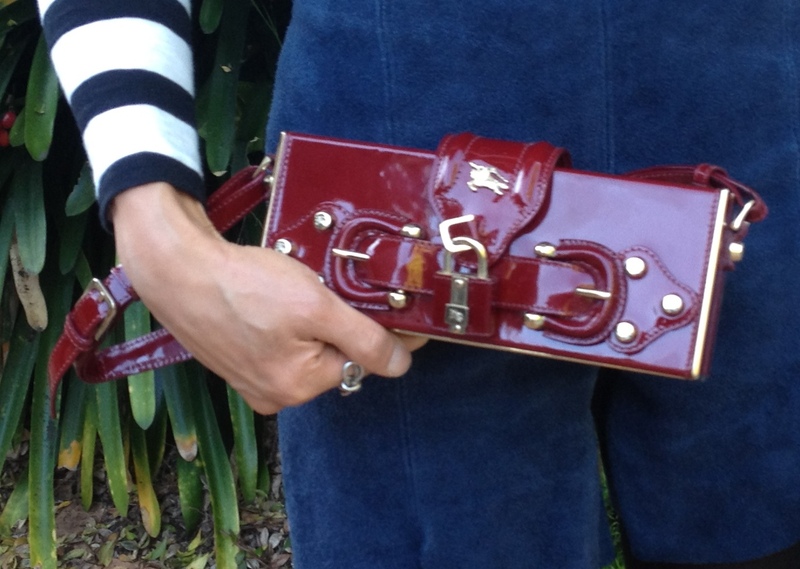 Don’t you just love it when old and new items in your wardrobe come out to play? 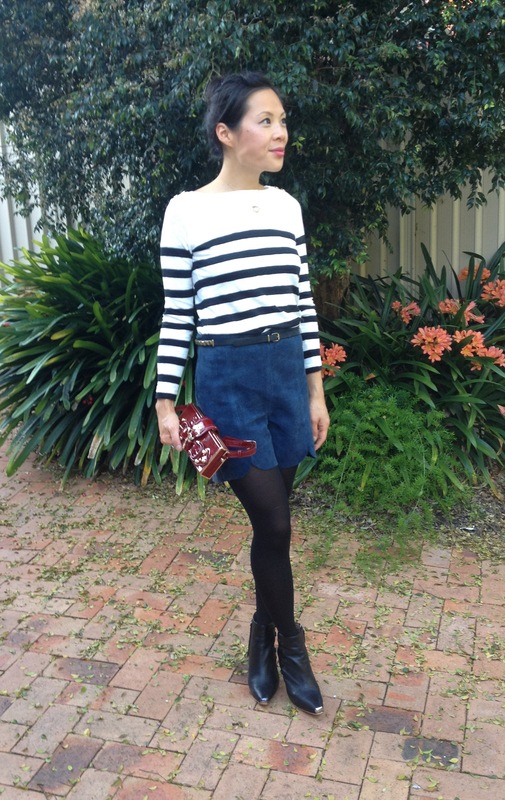 Here I am wearing my newly found striped top by Marcs, blue suede shorts by Sarah Philips, black & gold studded Burberry belt, Alexander McQueen steel toe boots & Burberry Prorsum wine coloured patent leather clutch, Balenciaga Bowring. What about you, have you been on the hunt for the perfect wardrobe item? As you know, I hate stripes and never wear them.